This vector pack has some beautiful floral patterns that can be used as backgrounds or borders. Nice for invitations, greeting cards, textiles or postcards. A great addition to your background collection. 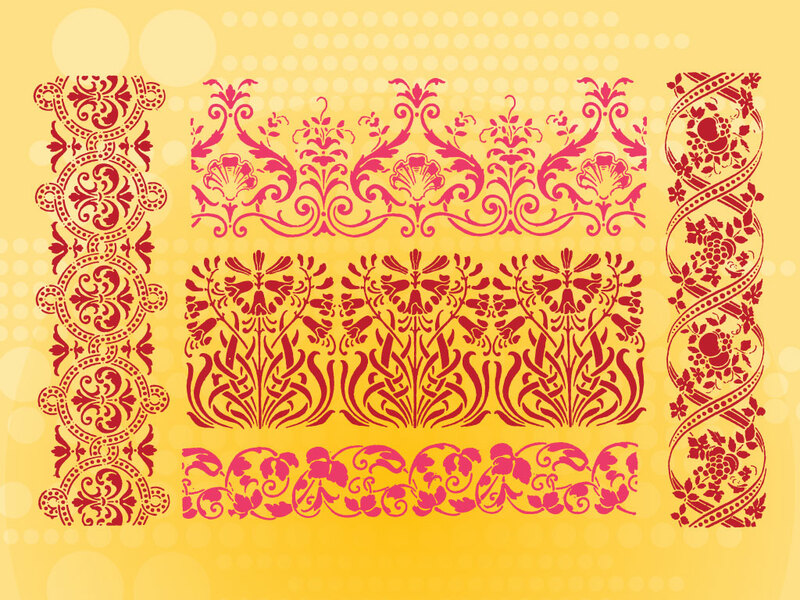 Tags: Backgrounds, Borders, Decorative, Floral, Flowers, Ornamental, Patterns.